Jamie Lidell Performs in Bed with the iMacshine. You are here: Home / news / Jamie Lidell Performs in Bed with the iMacshine. 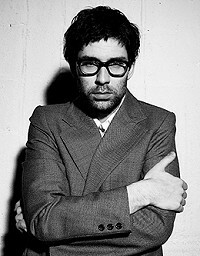 Jamie Lidell performs an iMaschine exclusive version of “A Little Bit More” from the album Multiply (2005, Warp) while relaxing in bed. Really! The entire performance was done live in one take, with nothing pre-recorded, and no post-production edits made to the song.This video has gone massively viral in the last few days, and we can see why. What an app! We have to say, this looks like an amazing app for budding and pro music makers alike. Jammy’s Jaunts: 08.12 – 09.12 – Rhythmatic Pre/Main Party, RPR at Fabric and Fuse. Eastern Electrics – Venue Annouced!